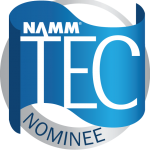 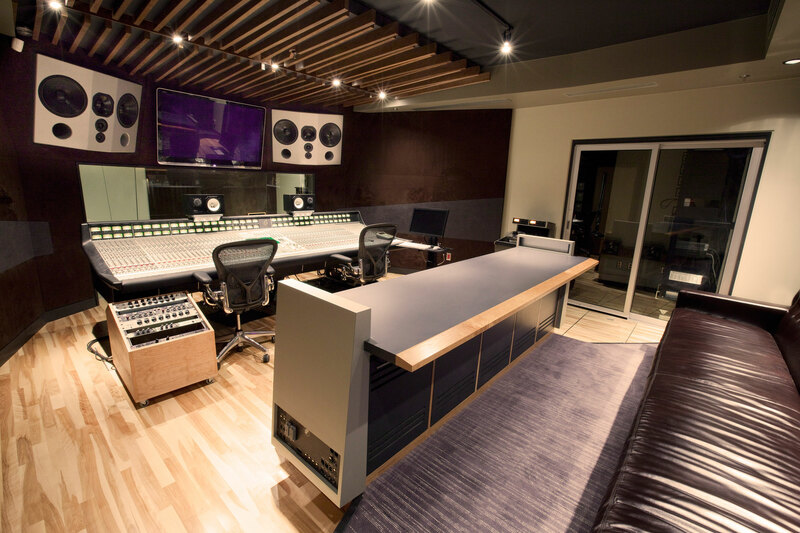 Revolution Recording | Pilchner Schoustal International Inc. 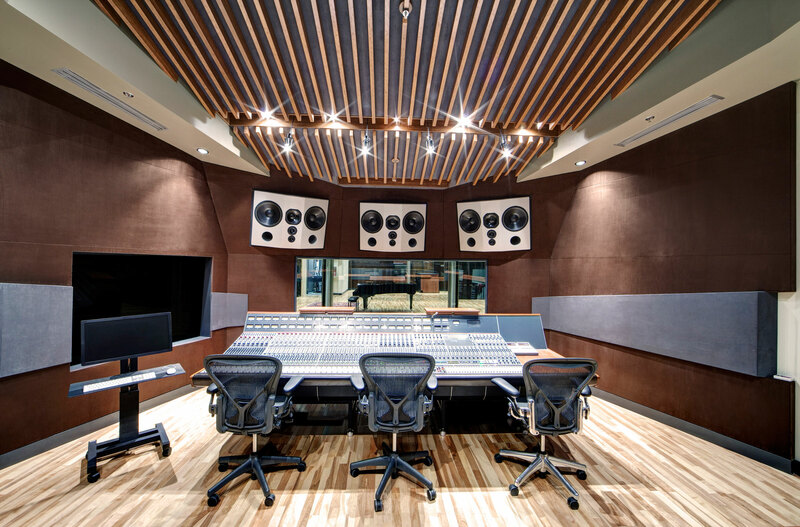 The departure point for the design of this facility was to embrace all the good aspects of old traditional studios (analog studios) and reinterpret them in a modern context. 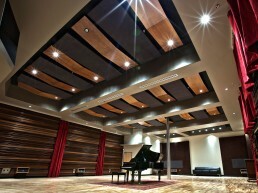 Acoustic finishes vary throughout the facility, but are tied with a common grey/brown ultra suede fabric theme. 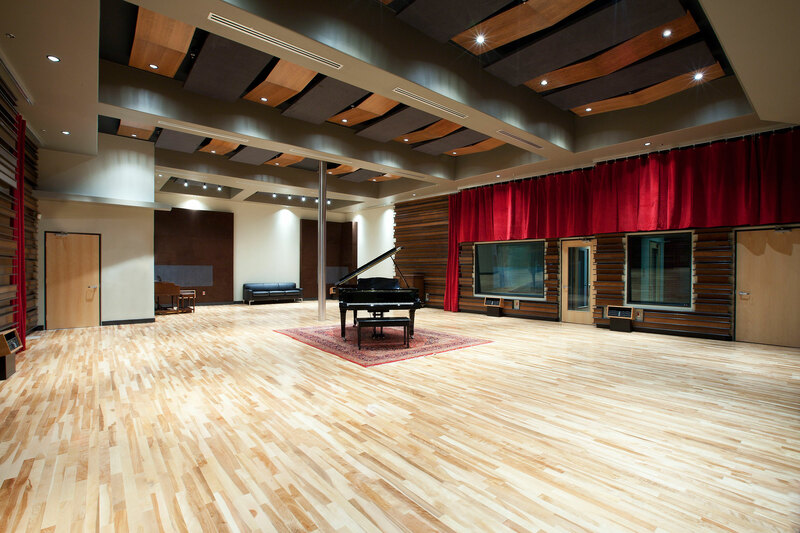 The A studio has a large tracking room with high ceilings and randomized quadratic side wall diffusion finished in cherry wood. 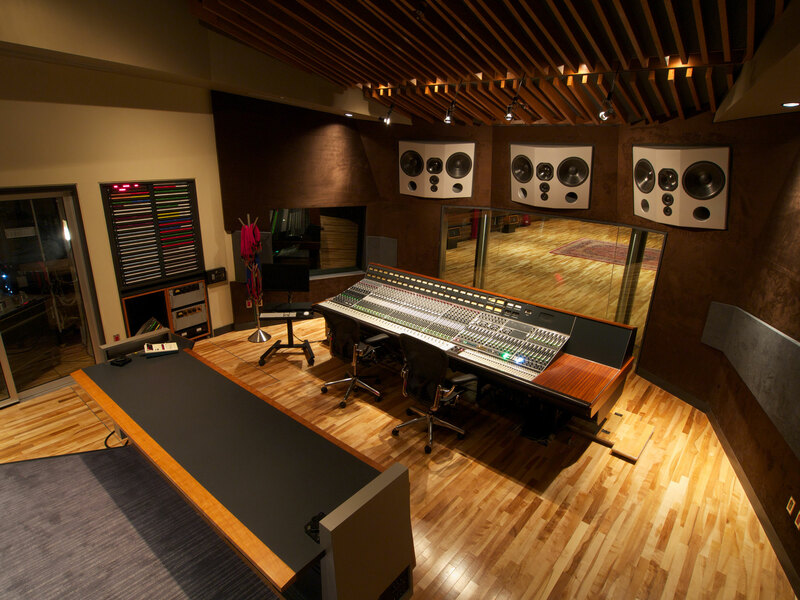 The studio decay is live and diffusive but is variable with the use of the red velour side wall curtains. 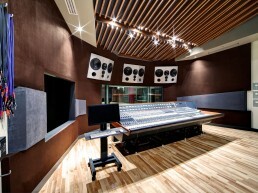 Featured as well are 4 adjacent isolation booth areas of various sizes and heights, and a separate microphone storage room. 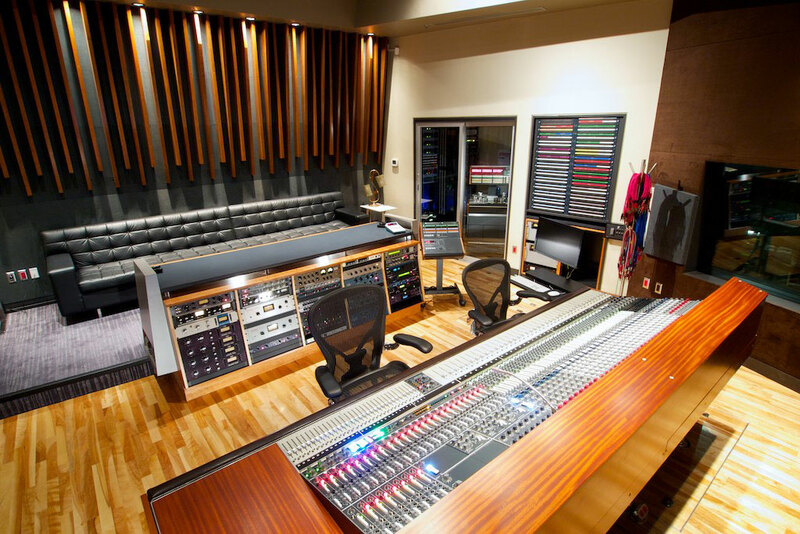 The control room for studio A is built around a custom NEVE console that has been meticulously restored. 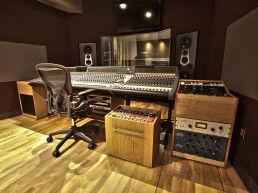 A full complement of vintage analog and modern digital equipment is integrated. 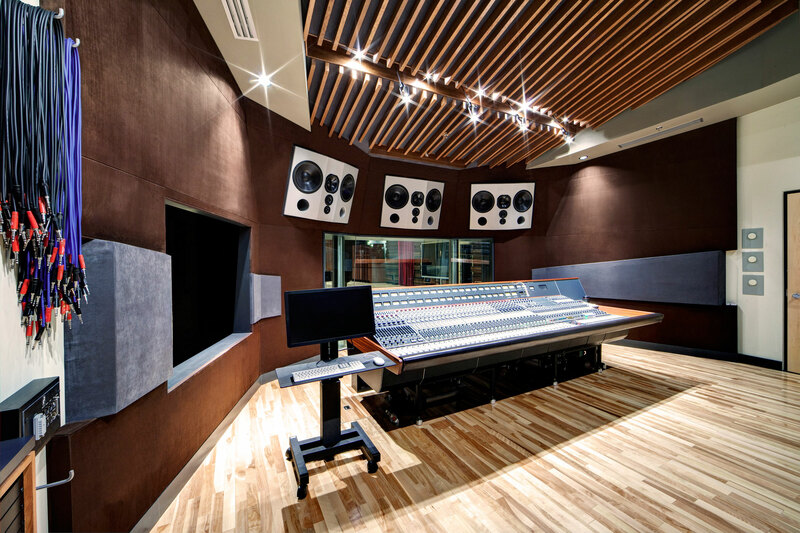 The control room utilizes controlled reflection geometry to optimize the response of the soffit stereo and center mono speakers. 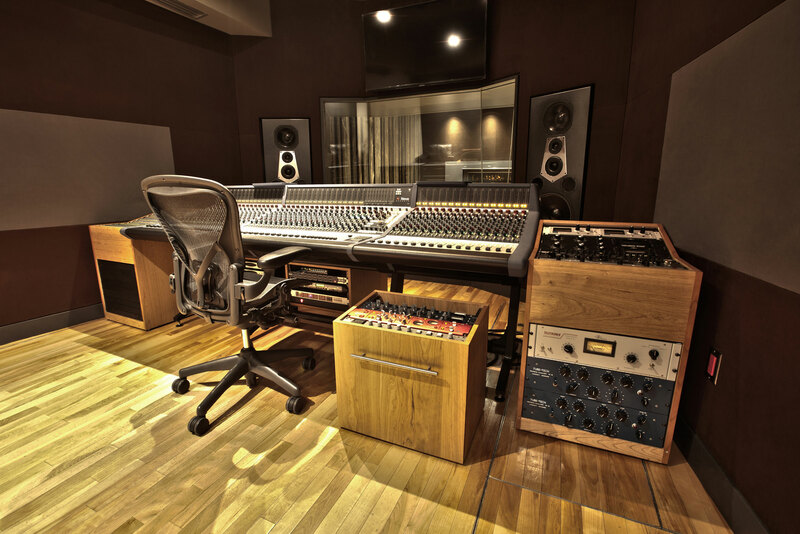 An adjacent machine room is provided to house the vast amount of equipment. 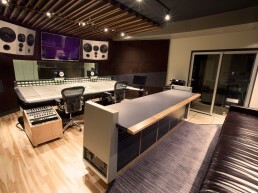 A private lounge is located adjacent to the control room and studio proper. 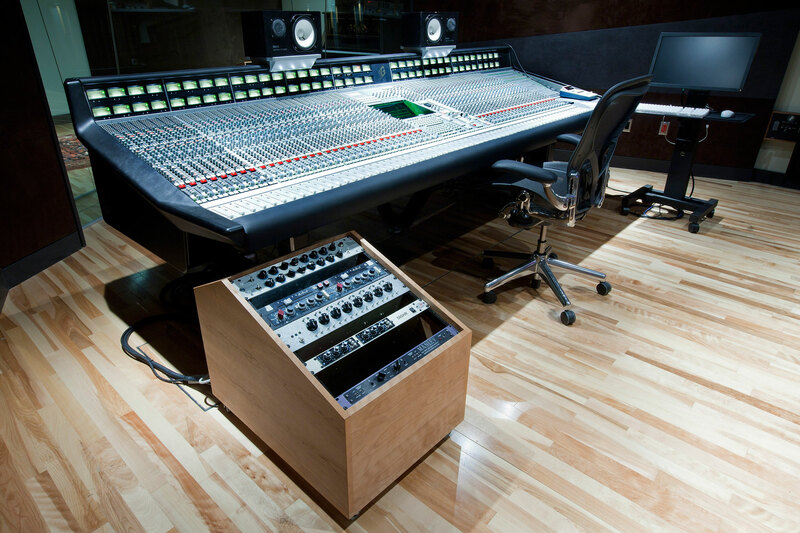 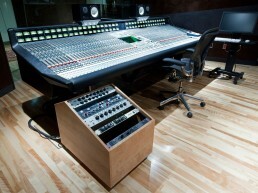 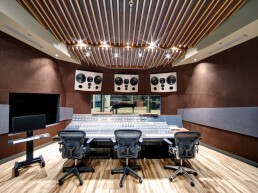 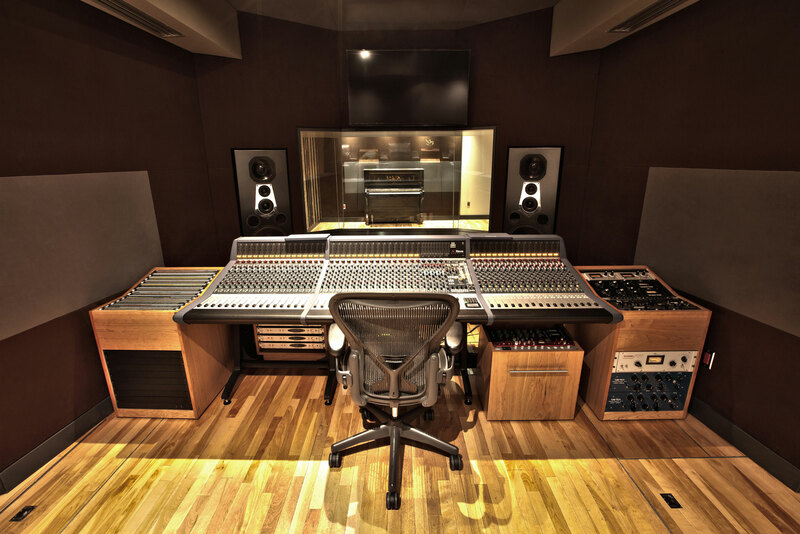 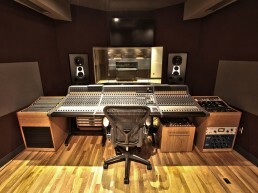 Studio B provides a modern control room with an SSL console and a medium size studio proper and adjacent isolation booth. 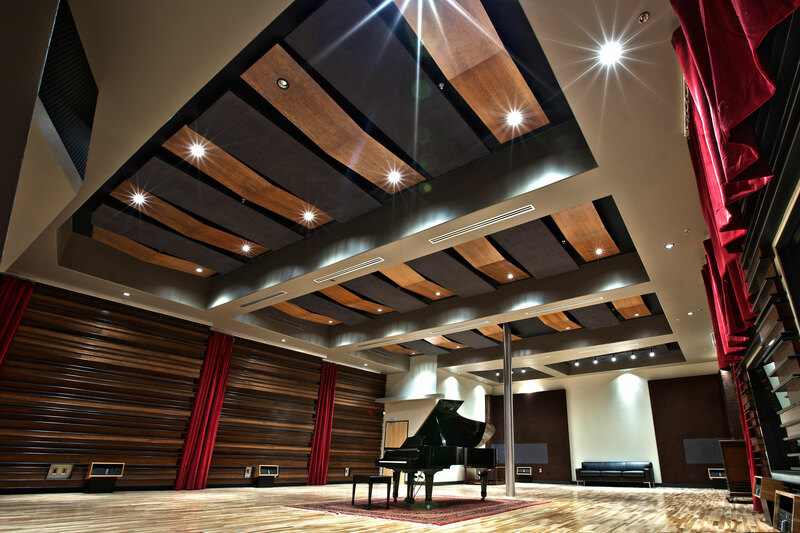 The control room utilizes controlled reflection geometry to optimizes the response of the soffit mounted monitoring system. This control room also has an adjacent machine room and private lounge. 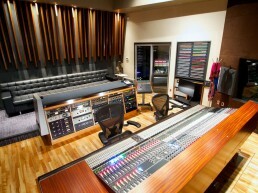 Studio C is a smaller control room housing a new Neve Genesys console. 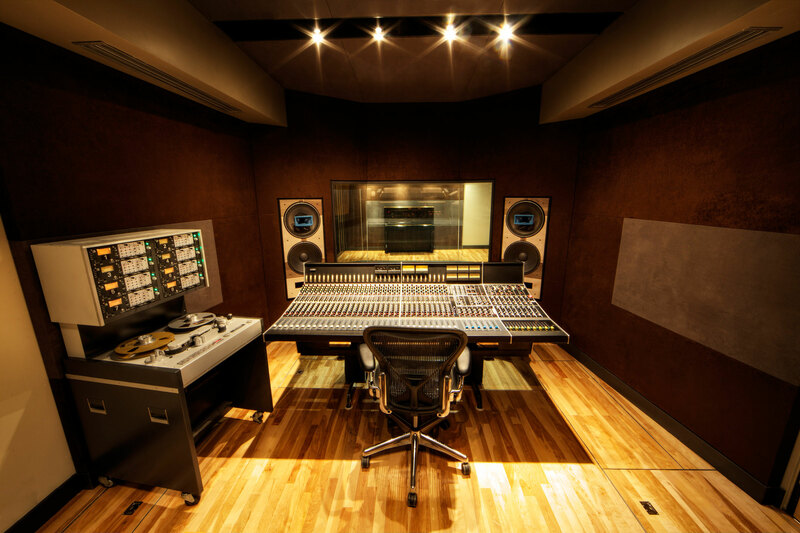 Custom Altec/Urei monitors enhance the retro vibe of the room. 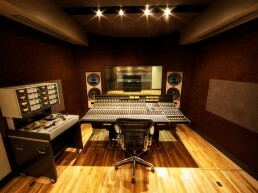 The control room faces a dedicated studio proper. 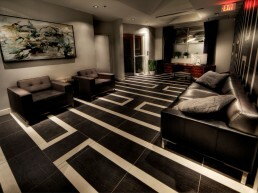 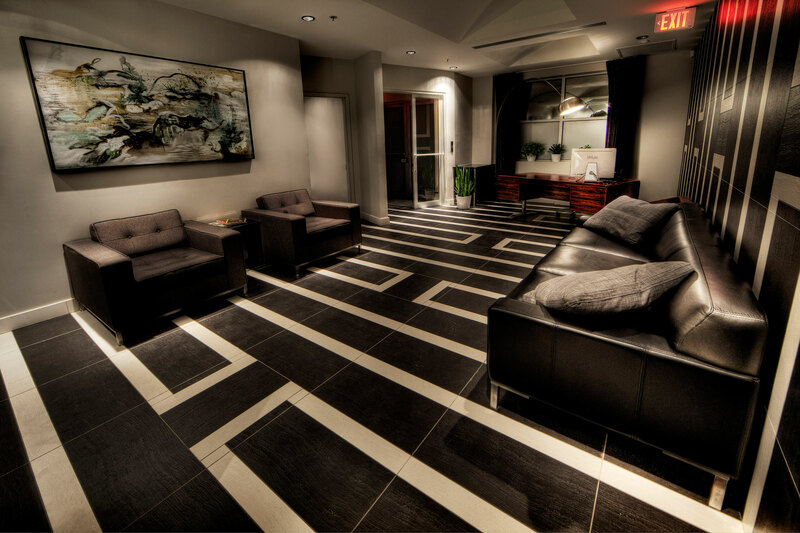 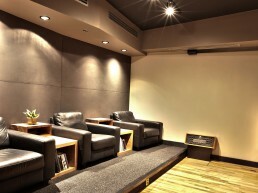 Studio C also offers a private lounge space. 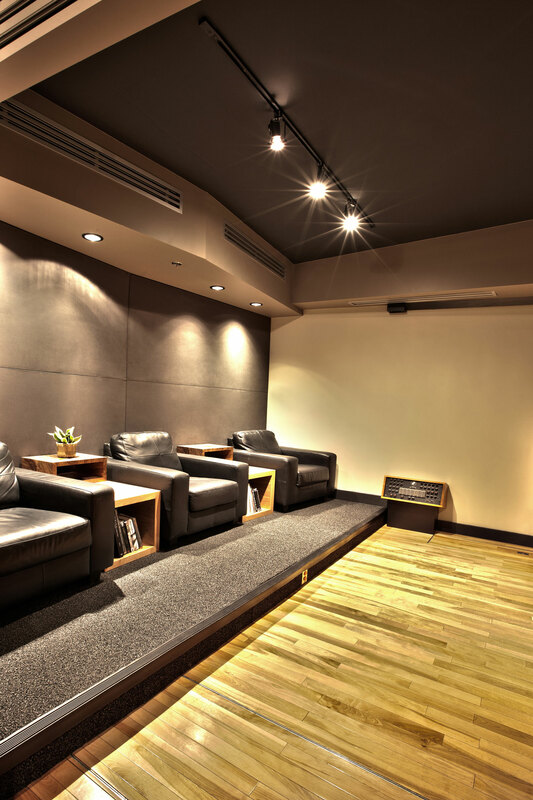 In addition to the studios and private lounges, there is a common lounge and kitchen area, reception lounge, offices and tech rooms. 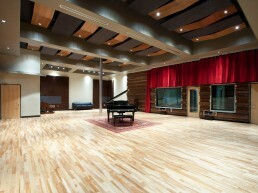 Learn more at RevolutionRecording.com or see the space in action here.